IICMR Post Graduate Research Centre (PGRC) was established in the year 2013. IICMR’s Post Graduate Research Centre (PGRC) is approved and affiliated to Savitribai Phule Pune University (Formerly known as University of Pune) for Ph.D. degree. 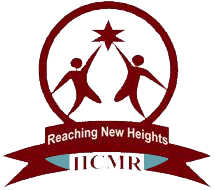 At present 14 students are pursuing their PhD under IICMR PGRC. To Enrich research activities through organized research & developmental activities like Executive Education & Management Development Programs. To Motivate faculty members to establish expertise and credibility in select areas of research in management. To Plan and Carry out research related seminars, panel discussions and lecture series for the benefit of the Research scholars and faculty members of the Institutes in particular and for the benefit of the academic community in general. To Develop panels of expert guides to conduct Ph.D. programs. To Collaborate with leading Universities, B Schools, research institutions, industry and professional societies for organizing conferences and conducting research leading to high quality publications such as cases, books, conceptual & empirical research papers and research reports. Our doctoral program is prescribed by SavitribaiPhule Pune University develop research scholars to think critically, identify opportunities and converting these opportunities into published research and books. IICMR follows the rules laid down by Savitribai Phule Pune University for admission to degree of Doctor of Philosophy (Ph.D.). IICMR is very Proud of the MCA Department students who have shown an excellent performance in International Certification as part of the Add On Course initiative. 11 MCA second year students certified in OCJP ! From MCA third year 18 students certified in Sales Force and 16 of them in ISTQB! Congratulations all dear MCA students certified in JAVA (OCJP) and Salesforce . IICMR Family is proud of you !! We wish all the Best to our dear students ! Do well and be confident, success is yours! ATSS was promoted by Engineering Industries in Pimpari –Chinchwad Industrial Belt and was the first to start NCTVT-APPRENTICESHIP Training Institute in India. With changing technologies in industries.